What was that, over your shoulder? Oh, it was nothing. I could swear I saw a person in the mirror earlier, but I’m sure it was just my imagination. I wish you’d get the plumbing fixed here, it always seems like babies are screaming in the walls at night. It’s always easy to run away from a haunted house when you don’t live in it, but for the rest of us, not so much. So why don’t we talk about it? This episode we feature We are Still Here, Poltergeist, and Legend of Hell House. As I was preparing for our upcoming podcast episode (at long last), I recalled a movie I’d seen last year. Excellent atmosphere, an interesting story arc, and a good example of a movie on my incredibly long Netflix list that I had put off way too long before actually watching it. 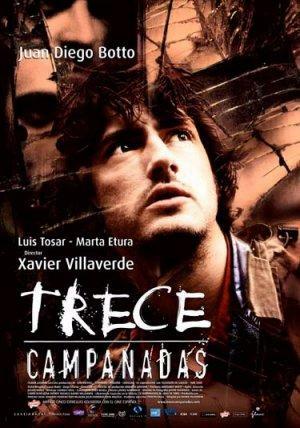 13 Curses (Trece Campanadas) is the story of a young man going back to the town he spent his childhood in before a mysterious accident occurred one stormy night claiming the life of his father and the sanity of his mother. His father was an incredible artist with inclinations towards the more morbid side of sculpting, which in itself is always pretty awesome when you’re dealing with vengeful spirit movies. But of course, this is more than that. Much more. Luis Tosar delivers an incredible performance as the ghost and memory of Mateo, the main character’s father. 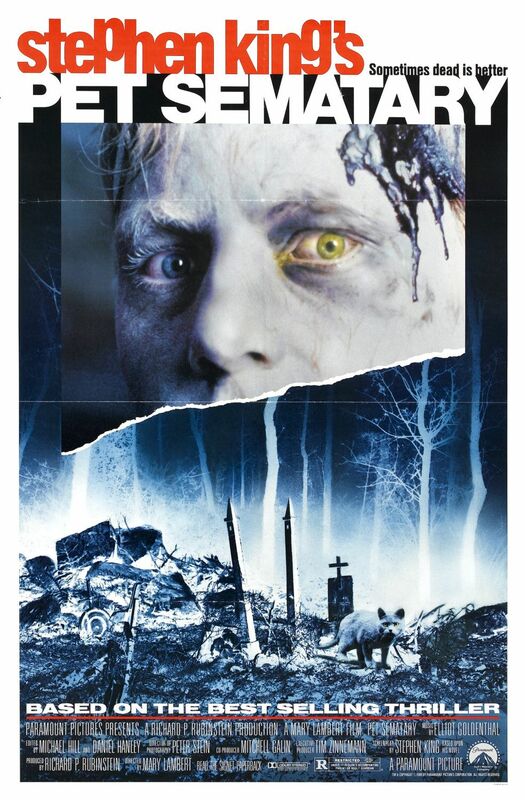 This was actually one of my first Luis Tosar films, and it’s a great entry into his lexicon. The Spanish language itself lends itself to incredible horror potential. There’s something about the sound, the passion of the words themselves, and I just don’t know if 13 Curses would have been nearly as good if it had been of the English fare. An absolutely incredible movie worth a watch on any night. At long last, the movie trailers return…from the grave? Not physically, of course. It’s only digital media. Speaking of digital media, let’s watch trailers about ghosts. If you try to believe hard enough, that segue makes sense. This week we discuss ‘Treevenge’, just in time for the holidays. We also touch on a few movies featuring possession as a major theme, including: Fallen, Idle Hands, and Night of the Demons. Lastly, there’s a bit of chatter about the merits of Fred Savage. Below is the Treevenge short film. Followed by Angela’s dance in Night of The Demons. The link for episode 11 can be found here. Podcast, Ep. 8: Happy Halloween! Joyous day of days, the time of year is upon us when the dead return from the graves to get drunk and eat candy. Yes, my friends. It is finally Halloween, and with Halloween (of course) comes the latest Hallowholics Anonymous podcast. This one was a doozy to get made, and unfortunately Julianne and Chris were unavailable this week. But where there’s a will, Maddy got her mom to join her for this special episode dedicated to the perfect Halloween marathon. A selection of 5 films to watch this Halloween, the topic of the marathon being campy classics. We also have a special introduction and conclusion with another future co-host, Jazlaan. So sit back, relax, and listen until your heart gives out. There are also some wig care and costume tips. You can find Episode 08 here. Another little novel I found floating around at a library book sale, this story was an enjoyable read. Perhaps enjoyable isn’t the right word. It was a disturbing spiral leading the reader witness to an unstoppable descent into death and madness. So that’s why it’s the book of the week. 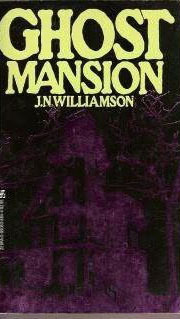 The especially intriguing part is how the ‘ghosts’ in this book are approached. Unique. Disturbing. Unlike anything I have personally read before, and shouldn’t think would be allowed on the modern theatrical screen (no matter how modern it gets.) I won’t go into any extra details about these gruesome specters, but suffice it to say I’d rather encounter Pezuzu on a bender before I stepped foot into this house. No matter how pretty the interiors are. This is a book for a couple of quiet and lonely evenings with nothing but a small lamp (or perhaps candle) to illuminate the words. It’s a good thing, too, because you’re got 5 days until Halloween to go grab this little gem from an obscure backwoods book store.